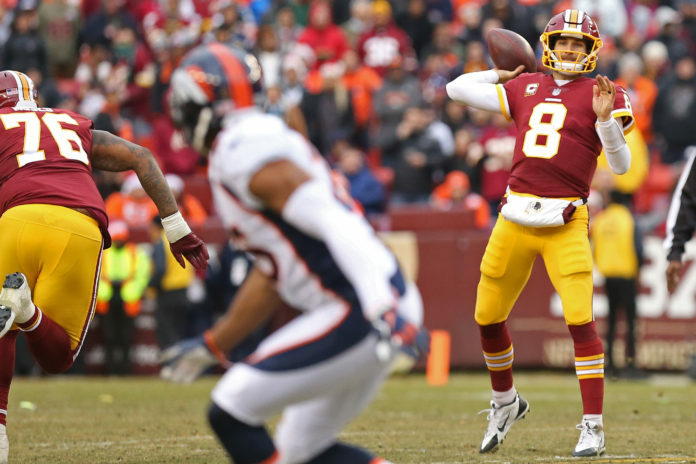 Two teams are emerging as top dogs in the race for Kirk Cousins and according to CBS Sports’ Jason La Canfora, the Denver Broncos are one of them. With the Alex Smith acquisition in their back-pocket, the Washington Redskins have had the time to make a sign-and-trade deal involving Cousins, however with the more time that passes and the closer the NFL gets to its new league year on March 14, the more of a chance the Broncos have at landing Cousins in free agency, which is where they need Cousins to be. La Canfora joined Eric Goodman and Les Shapiro on Mile High Sports AM 1340 | FM 104.7 to discuss the war about to be waged between the Big Apple and the Mile High City for Cousins’ services. “He’s their guy, they are going to have almost 100 million in cap space and they are going to be able to set the market in free agency at various positions,” La Canfora said of the Jets’ chances of landing the free-agent talent. The Jets are expected to make the pitch to Cousins that circles around the idea that he is the final piece to a team that surprisingly went 5-11 in the 2017 season, when most expected them to win only a game or two. The Broncos are also on their heels after a 5-11 season and have lots of questions heading into the offseason. La Canfora says that could play a part. “You’re looking at a team that really is in transition; they basically fired all the coaches around him (Vance Joseph) and kept him, but everybody there is on alert,” La Canfora said. When comparing the Broncos’ and the Jets’ rosters, La Canfora examined the teams and said, “You could certainly make the case that Denver’s got more talent — especially on offense — and there [are] more proven commodities, and they certainly have had more recent success,” La Confora explained. La Canfora also pointed out that the agent of Kirk Cousins, Mike McCartney, represents Josh McCown and Trevor Siemian, so McCartney can provide Cousins with inside information on the dynamics of each of the teams, something that could play a role in signing Cousins. Click here to listen to the full interview with Jason La Canfora, including what he had to say about Cousins’ particular desires, Denver’s realistic chances on landing him and more, or listen to the podcast below.